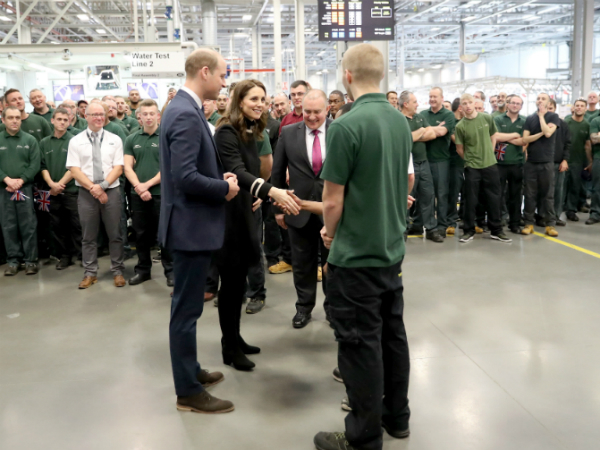 We were honoured to welcome The Duke and Duchess of Cambridge to our Solihull manufacturing plant yesterday. 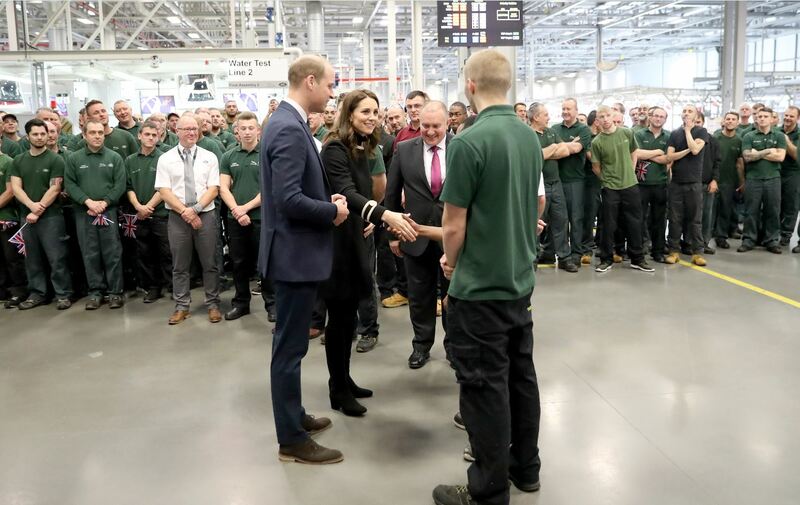 The Royal visitors witnessed first-hand the £2.5bn invested in the site which has seen production and employment more than double since 2008. 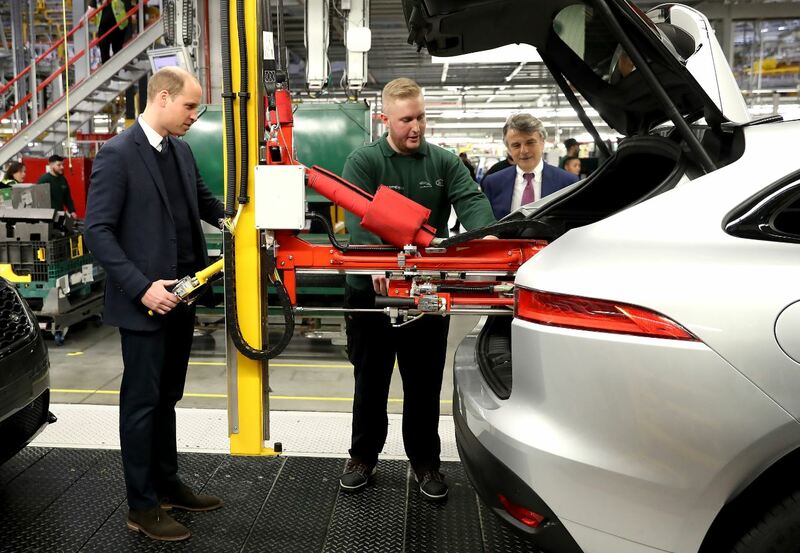 During a tour of the final assembly line, both The Duke and Duchess watched production associates complete the final checks on the latest models to be introduced at the plant – the Jaguar F-PACE and Range Rover Velar. The tour concluded with a look in to our electric future in the form of the Jaguar I-PACE Concept and Range Rover P400e (Plug-in Hybrid Electric Vehicle), both models form part of the company’s commitment to be fully electrified from 2020 onwards. Dr Ralf Speth said: “Showcasing the Solihull manufacturing plant to The Duke and Duchess of Cambridge was an honour. “We are a proud British company with a passionate workforce and it was a privilege for everyone to be part of this very special visit”. We also took the opportunity to celebrate setting a new record for volunteering with more than 10,000 employees dedicating 120,000 hours to help worthwhile causes during their working hours. Twenty Jaguar Land Rover volunteers met with The Duke and Duchess and explained how their skills had been used to support social, environmental and educational causes. 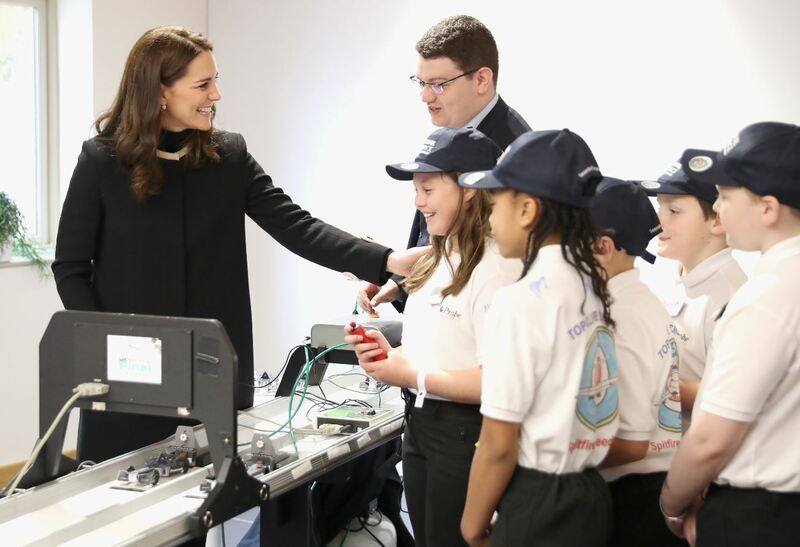 The Duchess also met five children from Topcliffe Primary School in Birmingham who are the reigning champions of the Jaguar Primary Schools Challenge – a core education programme in which children are tasked to research, design, manufacture, test, promote and race the fastest car possible, driven by compact compressed air. During the visit we also furthered our commitment to emergency and disaster relief through a partnership with Mountain Rescue England and Wales. 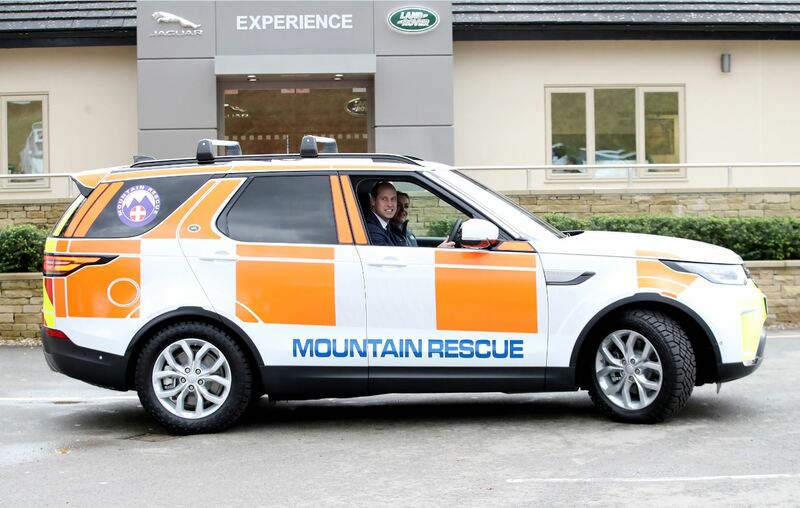 A team of mountain rescue volunteers were at our flagship manufacturing plant to familiarise themselves with the new Discovery, which will join its existing fleet of lifesaving vehicles. 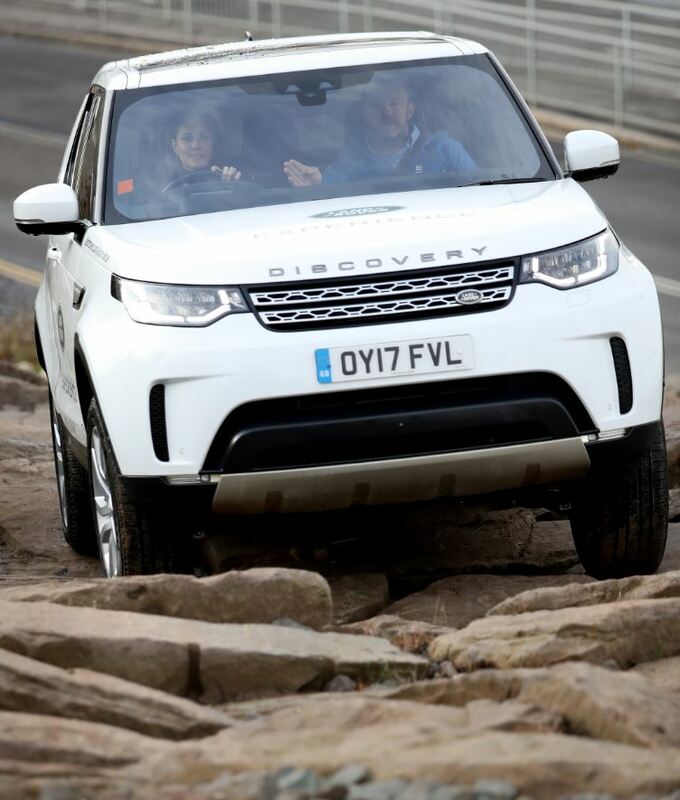 The handover was witnessed by The Duke, who is Patron of the charity and The Duchess, both of whom went on to drive the Land Rover Experience off-road course.